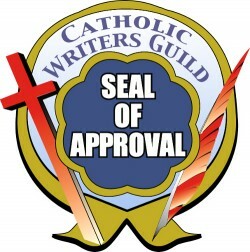 The purpose of the Catholic Writers Guild Seal of Approval is to help Catholic bookstores and venues in their determination of the Catholicity of a work. This reassurance from a professional organization can assist authors in marketing and promoting their works. Books are also judged by their editorial integrity as well. Books that are not professionally edited or publication-ready are not eligible for the Seal of Approval. Authors looking to reach a Catholic audience, but whose books do not qualify for an imprimatur (like fiction), or authors who do not have access to the process to get an Imprimatur, can submit their book for the SoA. It provides a tangible reassurance to readers and bookstore owners that the book does support Catholic beliefs and values; and in the case that it does not, it gives the author some useful feedback. Readers can be assured that SoA books will not offend their faith and have a certain level of editorial quality. Store owners can be assured that they can stock the book on their shelves, host the author for a signing, etc. without compromising their appearance or mission as a faithful Catholic apostolate. Seal of Approval books are automatically qualified for inclusion at Virtue Works Media! Seal of Approval books are automatically qualified for inclusion on CatholicReads.com!